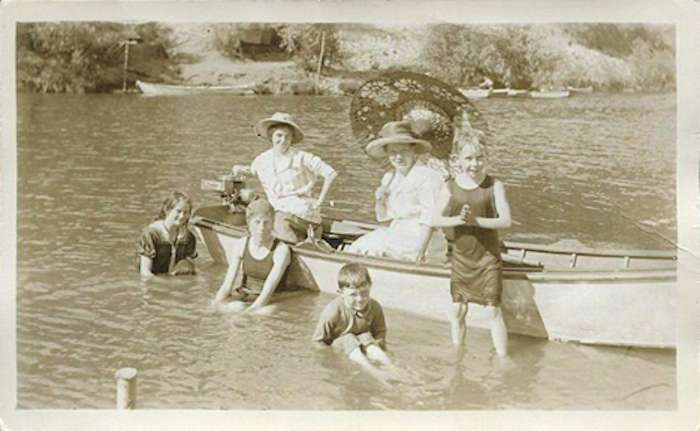 WONDERLAND RADIO HOUR is a quarterly series of free public programs featuring stories about the people, places and history of our lower Russian River communities, from Forestville to Jenner-by-the-Sea. Each hour will showcase musicians, artists, writers and characters from the Lower Russian River Area and surrounding region. WRH is dedicated to introducing and appreciating the wide and diverse talents of our residents; from the well known to those whose abilities deserve greater recognition. Following each live performance at the Rio Theater the program will be broadcast on our local NPR station, KRCB 91.1FM on Sundays at 4pm. The Facebook post can be shared from HERE. 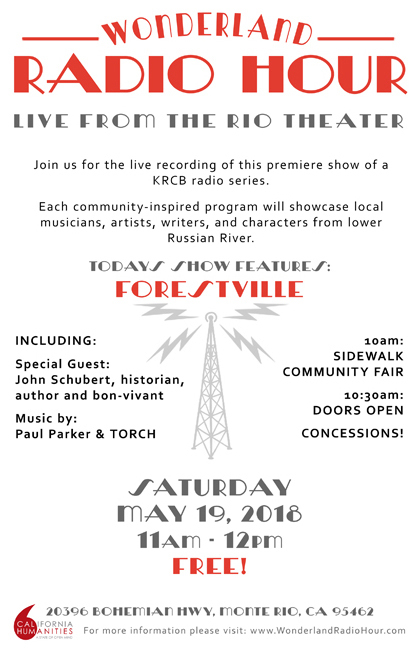 The Wonderland Radio Hour, presented at the iconic Rio Theater, will bring together, onto the stage and into the audience, members of our lower river community, from Forestville to Jenner-by-the-Sea, as well as representatives from our neighboring towns. Each hour will also include stories and performances drawn from the rich culture of the area. Lend your Skills and Ideas: Wonderland Radio is a community-based, community-produced project - fueled by your participation and suggestions. Join us – We invite individuals and community groups to volunteer your skills, time and program ideas. Please visit our CONTACT page.